Published: Oct. 20, 2014 at 10:05 p.m.
Pittsburgh Steelers defensive end Brett Keisel deflects and intercepts Houston Texans quarterback Ryan Fitzpatrick's pass. 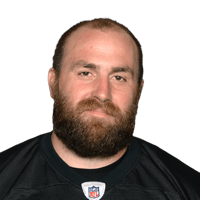 Published: Dec. 30, 2013 at 03:12 a.m.
(4:12) (Shotgun) J.Campbell sacked at PIT 32 for -7 yards (B.Keisel). FUMBLES (B.Keisel), touched at PIT 32, RECOVERED by PIT-C.Carter at PIT 23. C.Carter to PIT 23 for no gain (A.Mack). Published: Dec. 29, 2013 at 03:14 p.m.
Cleveland Browns quarterback Jason Campbell places the ball right over the defender to complete the pass to tight end Jordan Cameron for a 21-yard gain. Published: Dec. 29, 2013 at 02:08 p.m.
Pittsburgh Steelers running back Le'Veon Bell takes the hand off, spins out of a tackle and barrels his way into the end zone.